Editor’s Note: Many thanks to Starship Earth for continuing to bring us up-to-the-minute reporting on all aspects of these troubling “end-times”. No…I do not mean the Apocalyptic end-times spoken of in the bible, but rather the “end-times” in terms of the end of negativity energy on Earth as well as the rest of our Galaxy and Universe. Please read detailed accounts of how this process of ending darkness on Earth is happening. Also read of positive forces stepping up with new ideas, new resolve and courage to “make things right” here on our planet. From my observation, we are all in the moment of NOW and really just need to stop…and become an observer.It’ now time to just sit and watch and pass the popcorn! Can you stand the drama?! The language, the strategies, the shadow operations hinted at but as yet not revealed, the innuendo, the media circus, verbal abuse and vulgar grandstanding… not the way any sane person would want to view their reality, but there it is. We were warned, but it will take all our 5D sensibilities to sit back and “enjoy the show” while the enemy brandishes the new secret weapons in their arsenal—the shrews—and if all the above isn’t emotional overload, there’s the suggested threat of an EMP attack, to boot. Egads. I don’t know about you, but I am sick of the disgusting attitude and language of the opposition at the forefront of their “women in power” movement. They just can’t introduce enough hateful, spiteful people into the government, and the lamestream media are only too happy to bring us the carnage in living colour. I was surprised to hear Steve Motley, Retired Marine say this week that only 50 per cent of Americans are “woke”. Yikes. I had hoped for better odds. Perhaps that is why Trump and his inner circle feel the need to allow the dimms to expose their true selves—in hopes a few more snoozers will come around. Why would we want anyone displaying these detestable characteristics representing us and assuming responsibility for managing the country? It’s absurd. The democrats are intent on creating a never-ending battle and dragging the warfare into the gutter where they came from. They are unaccountable for anything they say or do. It’s just how they feel and they’re allowed to speak their minds. The shrews are setting the tone for their constituents and encouraging more of the same; asserting that it’s acceptable to use foul language and outwardly attack and disrespect the President of the United States. It’s really hard to watch, even in small doses. Cringe-worthy, comes to mind. If the President says something is black, they say white. If he says it’s down, they say up. If he says its dangerous, they say it’s beneficial. 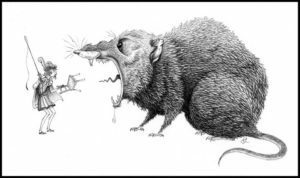 Who will tame the shrews? Step right up. PLEASE. There’s no middle ground, and everywhere we look it’s a battlefield. Trump will protect Americans from illegal aliens, drugs and Human traffickers, but who will protect them from the maniacal enemy within the borders? Are the military tribunals ongoing as we speak? Some suggest they are. We even heard a rumour John Brennan—the best male version of a shrew—was arrested recently. True or false? It’s not difficult to see why the White Hats would want to surreptitiously execute the promised extractions and arrests because to do so openly would surely unleash the full fury of the enemy. An EMP attack might even be welcome if it fried all the electronics and we could have a week or three without the highly charged, militant behaviour of the leftists in our faces every day. However, martial law would most certainly be visible in our streets as the mind controlled sleepers would be unleashed in looting and other violent behaviour. QAnon fans might weather the storm a little easier than others, as the Q team told us it was going to get ugly, that it was going to look really bad out there, and that it’s not only necessary, it will take us where we need to go. We knew Q and the President would be targets of relentless attacks. Utsava, the psychic has told us of the psychic attacks and how the dark can manipulate people. Q dropped some new crumbs today you may wish to read. Or listen to this update below. Due to the violent nature of the cabal and their sleeper cells, I don’t question the President’s choice to delay “declas”. It might just trigger widespread violence and the need for martial law. And there’s still that new “caravan” to deal with in the near future unless something happens to disband them. The enemy’s soldiers embody hate. They are on the opposite side from Humanity, who are basically good people, left to their own devices. When the dark forces are eliminated, we will see a return to our true selves. It seems that many things we never expected have occurred, and that is the magic of a higher frequency in an interdimensional war where consciousness is expanding and morphing into our new world. Wells Fargo tactics. Does it make you wonder what other corporations might be doing the same that we simply haven’t heard about yet? Greed rules their world and they feel perfectly justified in stealing from us. They do it covertly, however, because they know it’s wrong, and do it anyway. Q Nonsense – Are Military Tribunals Underway?? We can’t blame people for feeling this way. In a regular world it might be the only way to see it, but what is unfolding is extraordinary in many ways, and the old 3D laws don’t seem to apply in THIS war. If you are not aware of the off-world intervention, the Universal Protection Unit, the Council, the source-based quantum system driving the financial system, our interdimensional brethren and their assistance then yes… it would be seem to make sense. We are aware there are factions struggling ruthlessly for control, and there is much hidden that we don’t know and don’t understand. The intelligence and true situation on this planet has been so closely guarded that very few know the details or the truth. Some of us are comfortable with our imminent liberation because we have insiders telling us that arrests have been made, Guantanamo has been renovated, FEMA prison barges were/are enroute to GTMO, planes have gone to GTMO, key executions have taken place, and the Patriots are in control. This is a war unlike any other, and to expect the “old rules” to apply is unreasonable. If you don’t go down a lot of rabbit holes with an open mind you will not grasp the big picture. If you’re smart, you do not tell the enemy your battle strategies, and therefore we will have to go on faith and the little intel we have from a very few trusted sources. We have insiders on both the practical side and the spiritual, multidimensional side giving us updates but most of the operations are furtive and protected. Understandably. What we do know is that this is Humanity’s last stand against evil, and there are those who understand that it’s do-or-die time for us here on this planet. To discount the spiritual ‘good vs. evil’ facet and the magic it entails is to be without the single most important aspect of this intergalactic war. This is a war where logic will fail us. It takes far more than that to understand what is unfolding. That is my personal opinion. This is Bill’s, and he is not alone. It’s fully understandable and many have shifted their view over time as they research and witness what is unfolding. The discussion with Thomas Williams and Jim, the Unknown Lightwarrior, below will provide the balance to the narrative adopted by many critical thinkers who still lack some critical pieces of the big picture. Thomas Williams was a guest on Ground Crew Command Radio on Blogtalk on January 2 and gave listeners a taste of reality that few know about if they aren’t familiar with Thomas and his work with some influential and determined people, particularly with respect to the financial situation. After listening to this, the situation will be a whole lot clearer. 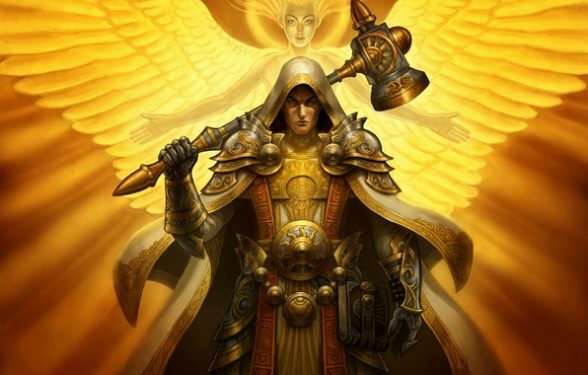 The host, Jim, or the Unknown Light Warrior and his team work in the realms many of us don’t even understand exist, and he gives us updates on the tremendous amount of energetic work done outside our visible spectrum. It is every bit as important as this 3D prison we inhabit and experience most of our waking hours—but when we’re asleep—it’s a whole different story. Our opponents know full well how reality works, in this dimension and others, and they have purposely kept the knowledge of it from us. That is how they have been able to incarcerate us for millennia. The jig is up, however, as powerful forces have decided Humanity is worthy of their assistance to free us from the grasp of the opportunists; our evil, satanic jailors. You can listen to Jim’s update on the plasma plane status before Thomas joins him to bring us his update from the more familiar situation, the significance of lunar and solar eclipses and the importance of mass meditations. Thomas had a last minute meeting with Kim, Trustee of the Manna World Holding Trust, and was a little late arriving but he does join Jim around the 17 minute mark. Jim tells us he tends to steer clear of guests representing various trusts and promised Humanitarian funds, but Thomas came highly recommended and we hear that Jim’s audience was impressed and hoped Thomas would be invited back. We heard some fascinating history as well as the events that put us where we are today. It’s a brilliant, enlightening discussion. You may also use the video version from Thomas. Read more about this show and the work Jim and Co. have done already and continue to perform on our behalf at the link below. Scroll to the bottom of the page to see a video from Jim. To hear the update from Thomas on his regular “Thorsday” show on January 3rd, listen to the video below. Les Gilets Jaunes continue in France. They’re not giving up… or giving in. This entry was posted in Uncategorized and tagged bread crumbs, cabal, declas, deep state, extraterrestrials, France, gilets jaunes, human trafficking, illuminati, impeachment, italy, Kim-possible, Koran, love, martial law, mass meditation, Michigan, migrants, nancy pelosi, non terrestrials, Paris, Peace Treaty, President Trump, QAnon, S, Starship Earth. Bookmark the permalink.